Newer iPhones support fast charging, which lets you juice up your device in a really short amount of time. But, unfortunately, iPhones don’t come with fast charging hardware in the box. That means that there can be some confusion as to whether or not you’re using the proper charging hardware to access it. Apple defines fast charging as charging at least 50 percent of a smartphone’s battery in about half an hour. Luckily, there are only two “special ingredients” that you need to take advantage of wired fast charging: a power adapter and a Lightning to USB-C cable. We’ve listed a few great options below. Fast charging is a specification of the USB-C standard, which means you’ll need a USB-C compatible power adapter or brick to take advantage of it like the one from Anker. Apple’s official version is a 30W adapter with a USB-C port. It isn’t the cheapest at $49.99, but it’s a pretty safe bet. On the other hand, you can opt for third-party solutions, too. 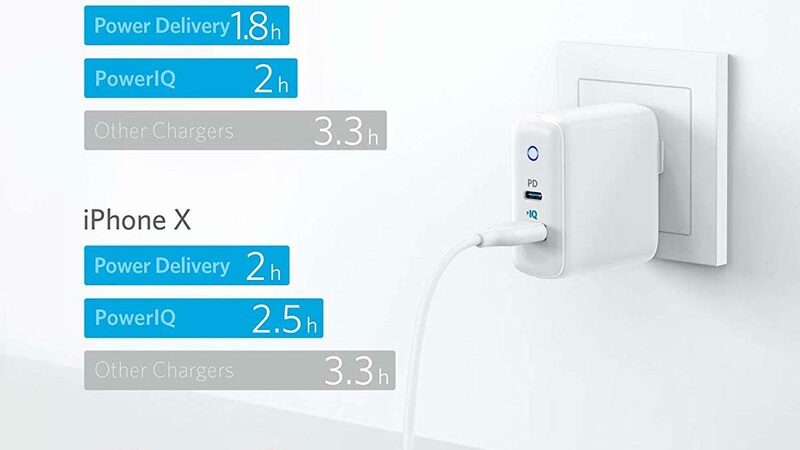 This Anker 30W Wall Charger, for example, is quite a bit cheaper than Apple’s option. There’s also this RAVPower 30W USB-C power adapter for about the same price. Both options support Quick Charge and also sport a standard USB-A port if you need it. More importantly, both chargers are made by trustworthy brands and are highly rated on Amazon. Essentially, you have some options when it comes to the power adapter. Just make sure you buy an adapter from a reputable brand that you trust so that you don’t end up damaging your iPhone. High-power AC adapters are also required to fast charge your iPhone wirelessly, although some wireless chargers include one in the box. Because wired fast charging is a USB-C specification, you’ll also need a USB-C cable to take advantage of it. 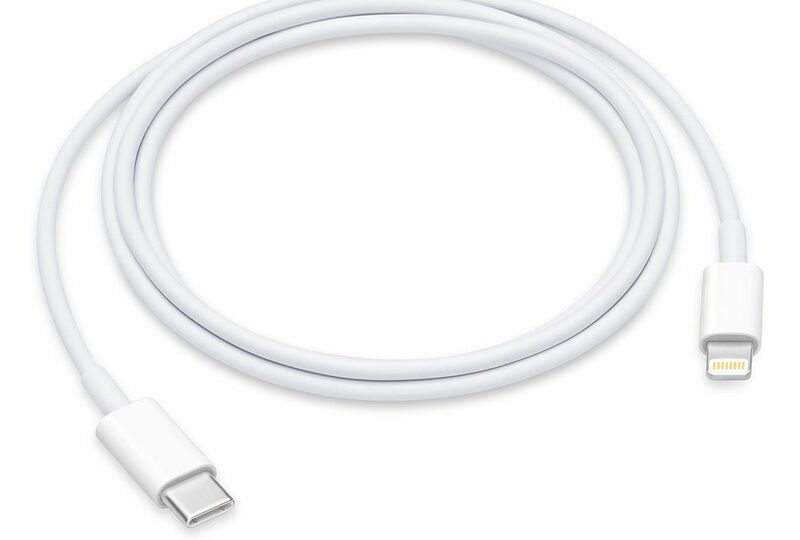 iPhones use Lightning as their primary port, which means that the cable specifically needs to be a Lightning to USB-C cable from Apple. Currently, the only Lightning to USB-C cable that we can recommend is Apple’s first-party option. It’s the only safe option available at the moment and your iPhone isn’t worth risking to save a few bucks. 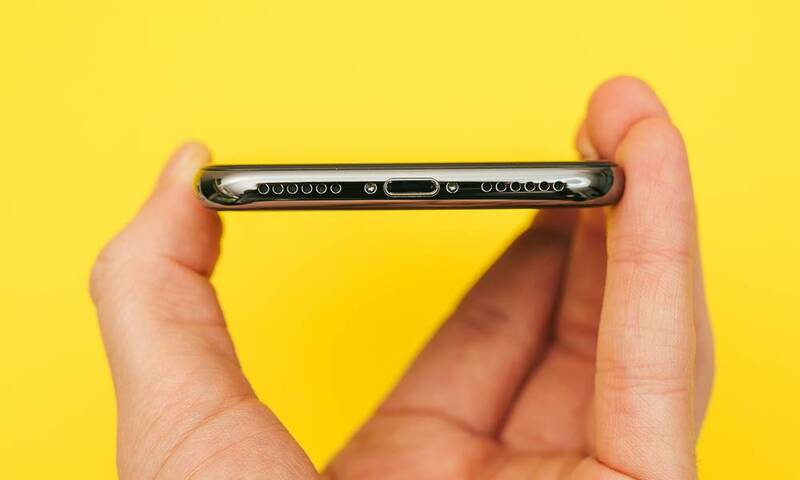 But at CES 2019, a slew of third-party manufacturers announced that they would be debuting Apple-approved Lightning to USB-C cables. 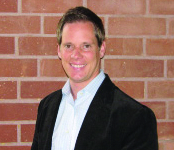 Expect options from Anker, Griffin and Belkin to show up within the next few months.